Morrison most recently starred as “J.M Barrie” in the Harvey Weinstein musical “Finding Neverland” through January, 2016. The Broadway production is an adaptation of the 2004 film written by David Magee. The story follows the relationship between Barrie and the Davies family, who became the author’s inspiration for the creation of Peter Pan. 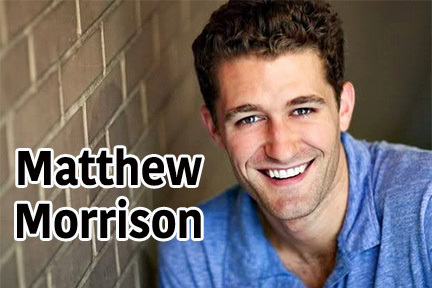 Morrison received two Drama Desk nominations for his role, and won the category of Favorite Actor in a Musical in the Broadway.com Audience Awards.